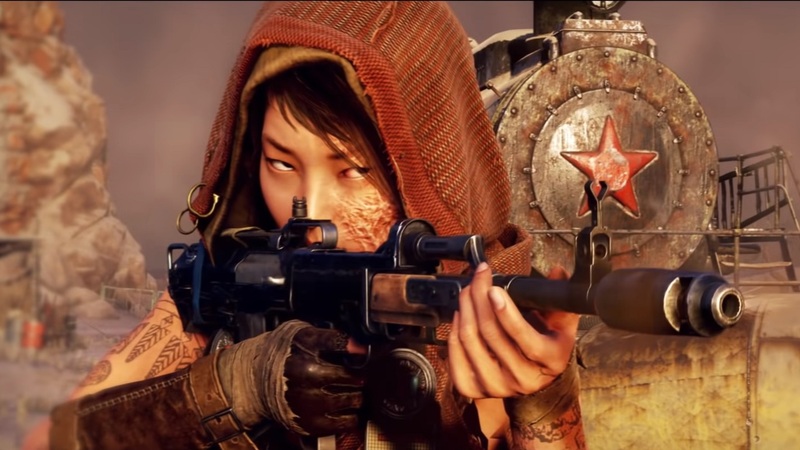 This last weekend was PAX South: the games industry’s annual sojourn to the Lone Star State. Amid the queso bowls and ample discussion of the Riverwalk, there were also some pretty rad games to see. Many of which were from smaller studios or independent developers! 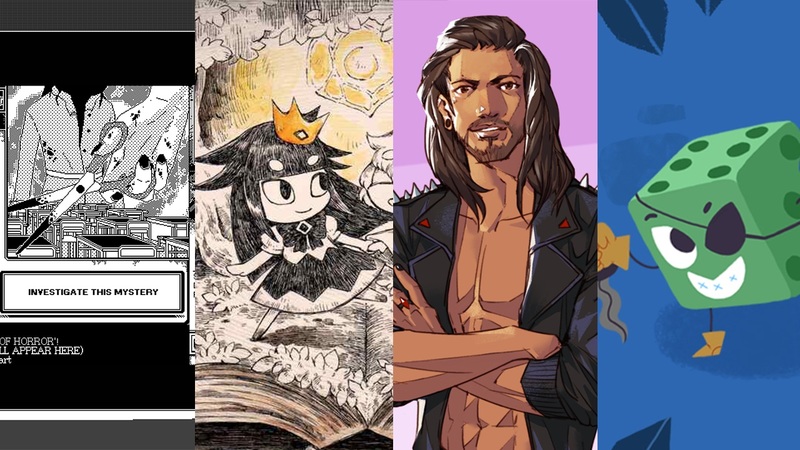 Since everyone was nice enough to come to my backyard to demo their wares, I thought I’d round up some of the most notable indie games you should keep your eyes on in the next year two. If you’ve ever been crawling a dungeon and thought “Boy, I wish I could date all this loot that’s dropping,” then I have good news. 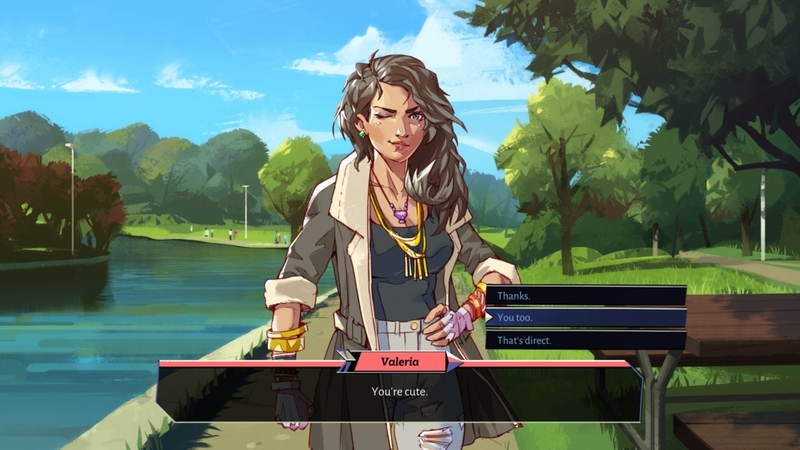 Boyfriend Dungeon is a game about getting to know your amorous armory. Though the title implies one very specific direction, you can actually spend time with all kinds of anthropomorphized weapons. Your avatar can identify however they wish, too. And the more you woo — or befriend — each person, the more powerful they become in the brawling havoc of dungeons, where mounds of gold and nasty monsters await. It’s a satisfying loop of date, delve, repeat. The fast and furious repetition of Hotline Miami feels alive in Katana Zero. You play a tormented veteran with a katana who can see into the future and identify the way to win any battle. Each arena becomes its own self-contained puzzle, as you find the perfect path through the hail of bullets and abundance of blades. What really stuck out wasn’t just the fluid, visceral ballet of swordplay and motion, however. It was the storytelling. Each contract is punctuated by dives into the protagonist’s past, as well as his attempt to live a normal life in a rundown part of town. A stylish neon aesthetic and thumping bangers soundtracking the action just seal the deal. Katana Zero is one to watch. You might know Game Freaks as the Pokémon studio. Giga Wrecker is one of its side projects that explores a world apart from monster taming. It’s already on Steam, but the extra-content-packing Alt version is coming to the Nintendo Switch (as well as PlayStation 4 and Xbox One), a platform that seems ripe for a game about platforming puzzles and exploration. You play an amnesiac girl named Reika trying to uncover her past by manipulating debris and physics. 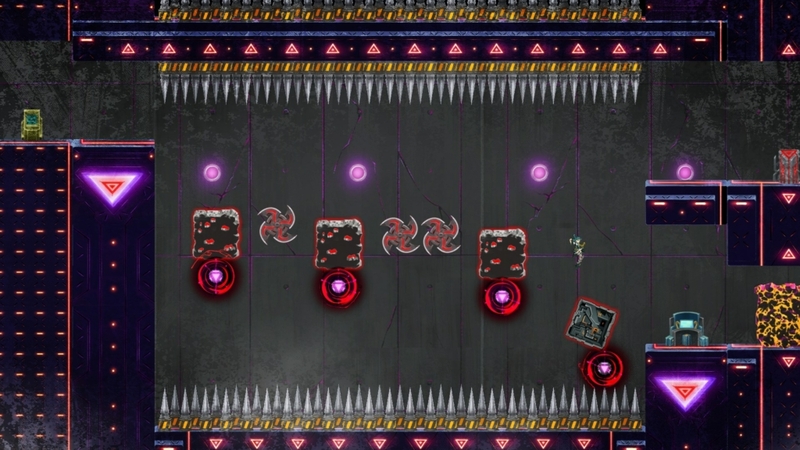 Puzzles usually involve cutting down terrain and turning it into platforms, bouncing orbs, or other various tools for moving fast and leaping great distances. The Alt release adds a number of new puzzles and a even new Ironman mode (meaning you can’t save scum). It should be a good time sink for any puzzle-platformer heads out there later this year. At every trade show or con I attend, there’s usually one game that just sticks with me for days afterwards. World of Horror is the one remained firmly in my craw this time. 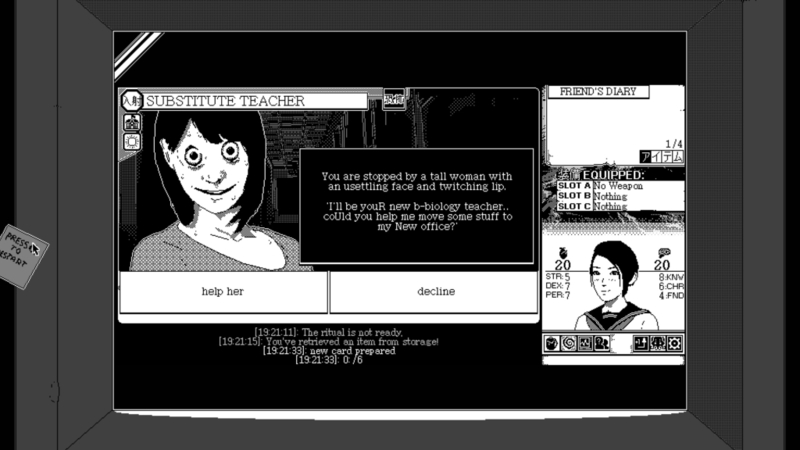 Maybe best described as a narrative roguelike by way of Junji Ito and H.P. Lovecraft, World of Horror is all about trying to survive cosmic horrors and sealing away evil before it consumes you. Its gorgeous, lo-fi aesthetic and chilling chiptunes render the various monstrosities in a wonderful light. And though you might fall victim to beast or burden in one run, you can earn new event cards to bolster your next attempt through any of five characters’ arcs. World of Horror is one that I can’t wait to get lost in, diving further and further into the abyss. The Neo-Geo cult classic Windjammers found a new audience — thanks to efforts from both developer DotEmu and community support for the game. In Windjammers 2, DotEmu isn’t trying to reinvent the wheel, but refine what’s already good while adding some new twists. Within seconds, Windjammers 2 feels all too familiar (to a seasoned fan). The disc bounces off walls and slams into the back of the net just like you’d expect. 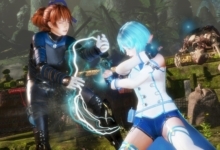 Alongside special abilities, each competitor also has their own EX move they can use by spending fighting game-style meter for a devastating effect. But the biggest change is the look, which might be jarring for some, but grew on me quickly. Windjammers 2 is still fairly early in its development cycle, but the proof-of-concept said enough: this is more Windjammers. I’m down for that! Every year, NIS hosts an internal pitch competition for anyone in the company to develop a game. 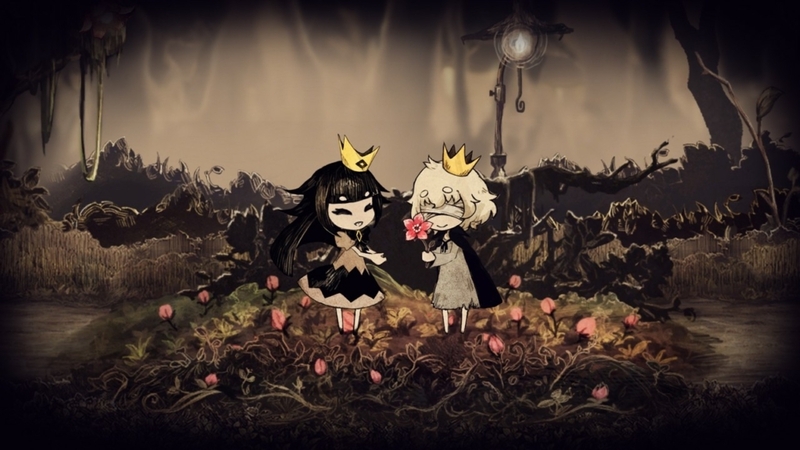 The Liar Princess is the result of that most recent event — a gorgeous puzzle-platformer told in storybook fashion. When a wolf with a beautiful singing voice accidentally blinds her distant, princely admirer in a moment of fear, she strikes a deal with a witch to become human. Of course, she has to exchange her dulcet talent for the metamorphosis. Shifting back and forth from human to monster, you free the blinded prince from prison and guide him towards the witch in hopes of restoring his sight. The Liar Princess has some unique mechanics, in the form of escorting the prince while shifting back and forth (you guide him by holding his hand in human form), but honestly, I played as far as I felt I needed to write this blurb. Then I immediately stopped. The well-crafted fairy tale narrative seems destined for a devastatingly bitter conclusion. I look forward to weeping through all of it in one good sitting this February. UPDATE: This section originally said that NIS America hosted the pitch competition that led to The Liar Princess and the Blind Prince. The latest from Super Hexagon developer Terry Cavanagh is something akin to roguelike deck building mixed with… craps. 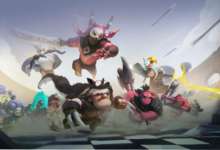 You select an avatar from several dicey explorers and delve into the dungeon, dueling monsters and picking up equipment along the way. 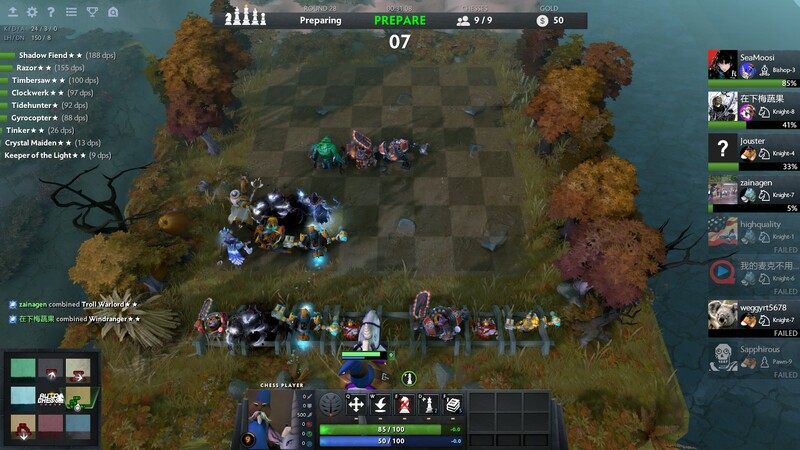 In battles, you roll a hand of dice and then slot them into your equipment. Every draw has its own requirements; your magic missile might only be receptive to an even-numbered die, or your most powerful move might only take a six. Each class hinges on its own mechanics, as well. 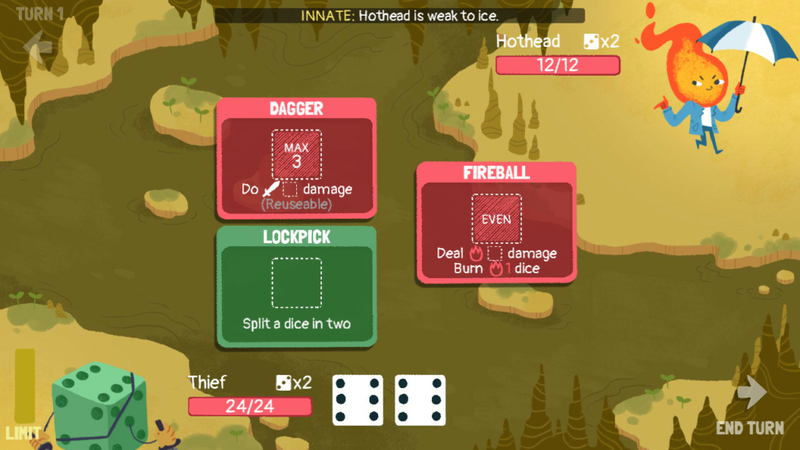 While the warrior is straightforward, the witch uses a spellbook to generate combos and cycle new dice. The wonderfully animated art pops and keeps things bright and cheerful — even when you roll on a prayer for that one die you desperately need. It’s the “just one more run” kind of dangerous that will cost me hours of sleep when it comes out later this year. Previous @Official_PAX West we brought a game without a title. This PAX South we brought the game and the title, but it’s a @jwaaaap-drawn placeholder logo. Ultra Bugs, the newest game from Nuclear Throne and Ridiculous Fishing developer Vlambeer, seems straightforward enough. There are bugs. You must shoot them. Piloting one of the many ships, a hail of lasers and missiles becomes a dance as you navigate a claustrophobic arena that gradually fills with bugs. Each ship has its own shot pattern, from spread to laser to homing, but navigating the bullet hell itself is the true challenge. Hordes of bugs give way to massive bosses, encompassing the screen in a sea of brightly colored danger. It’s actually more reminiscent of Vlabmeer’s Luftrausers than anything else. And it’s a joy to constantly thread the needle and narrowly surpass a hi-score — then do it all over again. I’m looking forward to the next shot I get. 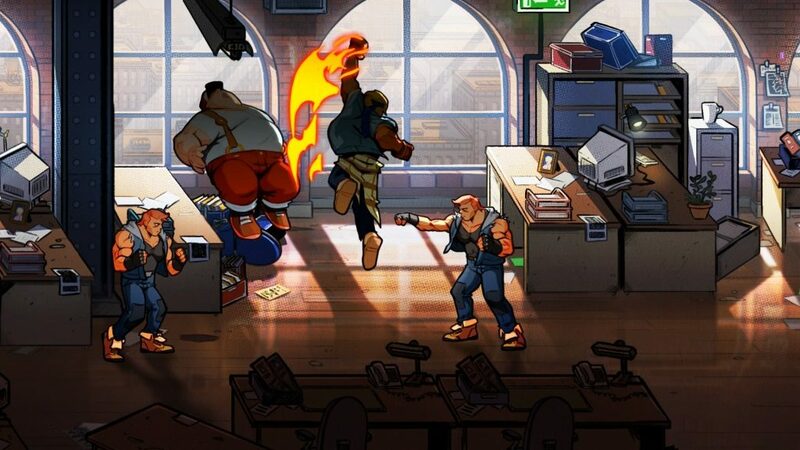 DotEmu already showed their handiwork in reviving series like Wonderboy and Windjammers, but with Streets of Rage 4, the studio is adding some touches of its own. 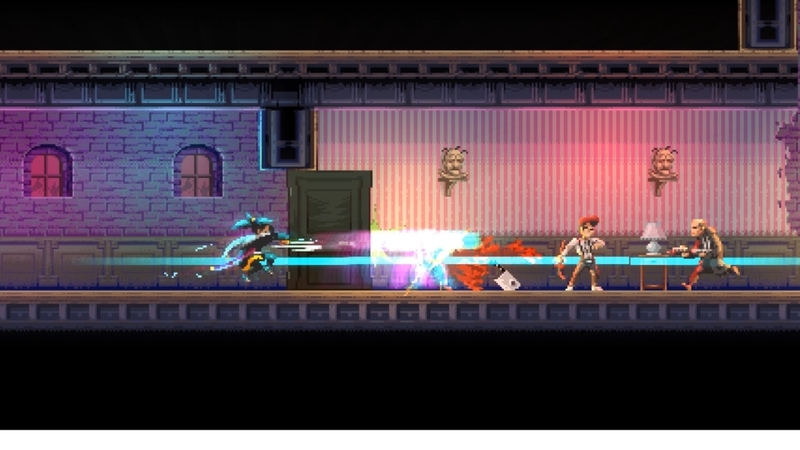 The couch co-op beat-em-up gets a touch of the new with air and wall juggles. Two players can trap foes between them and send them back and forth in a flurry of fists and feet. Familiar, yet fresh and updated with a stylish new look, I’m interested to see where these dangerous roads go as we see more Streets of Rage 4 over time. At first blush, Ape Out seems simple. You are a primate fleeing captivity — annihilating anything that impedes your path — like a reverse Ape Escape. But the simplicity feeds into a very interesting loop. Everything is fast and violent. Guards don’t just hit walls, they slam into them. Muzzles light up the area with each shot fired. You can feel every punch — the pounding strength as you beeline for an exit sign. A minimalist look highlights the action with contrasting colors and shapes. Meanwhile, a cavalcade of percussion accentuates every move. 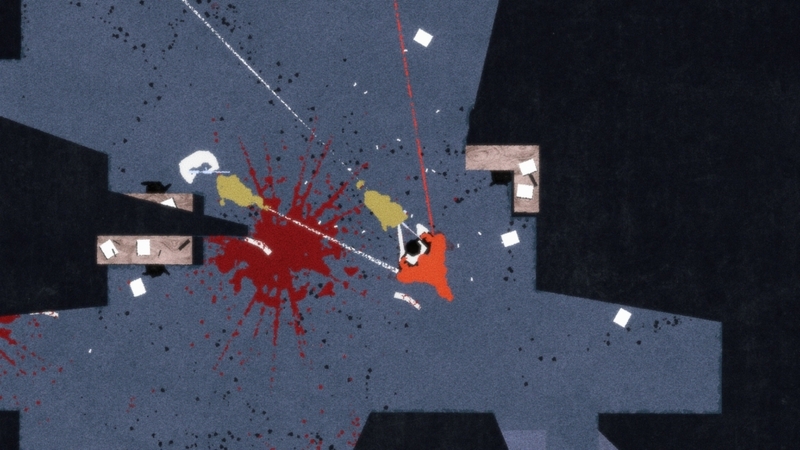 Ape Out is a simple but absorbing blast of a game.